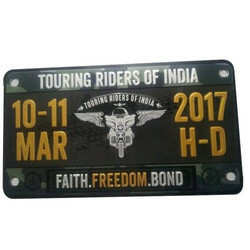 Pioneers in the industry, we offer stainless steel name plate, anodized aluminum nameplate, anodized name plate, aluminum name plate, anodized metal name plate and aluminum anodized name plate from India. 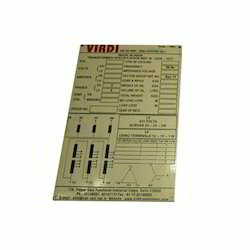 We are a prominent firm, occupied in offering Stainless Steel Name Plate. 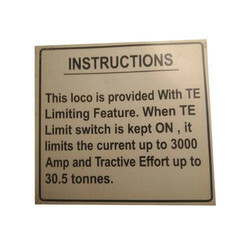 We are a well known name involved in providing a vast array of Anodized Aluminum Nameplate to our potential customers. Backed by industry knowledgeable experts and sophisticated manufacturing unit, we are offering an inclusive range of Anodized Name Plate. 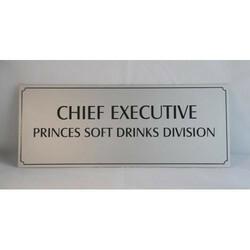 Being a quality-centric enterprise, we are engaged in offering an exclusive range Aluminum Name Plate. 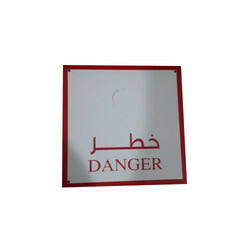 We are into the business of manufacturing and supplying a wide range of Anodized Metal Name Plate. 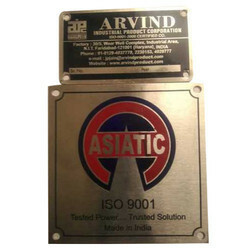 Owing to our rich knowledge, we are competent to offer the highly acclaimed range of Aluminum Anodized Name Plate. 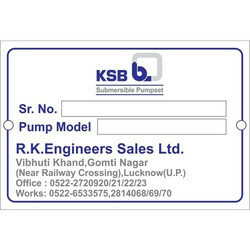 We are offering Aluminum Name Plate.